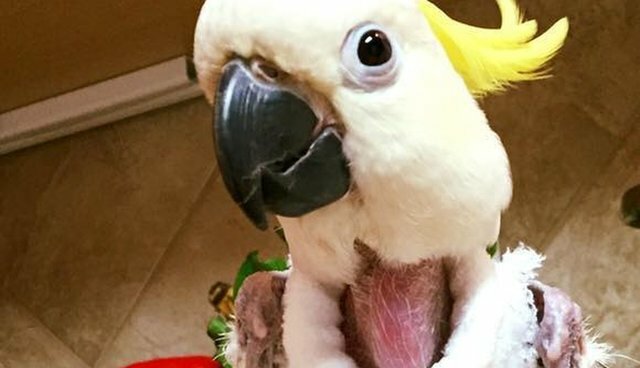 Javi, the parrot who was so neglected she tore out all her feathers, is warming up to her beautiful new life - literally. The exotic bird, once named Hobby because that's how her owners saw her, arrived at Kansas's Tallgrass Parrot Sanctuary in late September. She smelled of cigarettes and trash, and her body was almost totally bald. But Javi got a new name, along with the life full of love and care that she always deserved. She warmed up to her rescuers, who talked to her to make her feel comfortable, and quickly learned to trust people again. Now Javi, who was once way too nervous, has had a successful and calm visit to the veterinarian, to whom she showed off her charms. The golden moment of Javi's recovery for her rescuers was when she told them, "I love you." 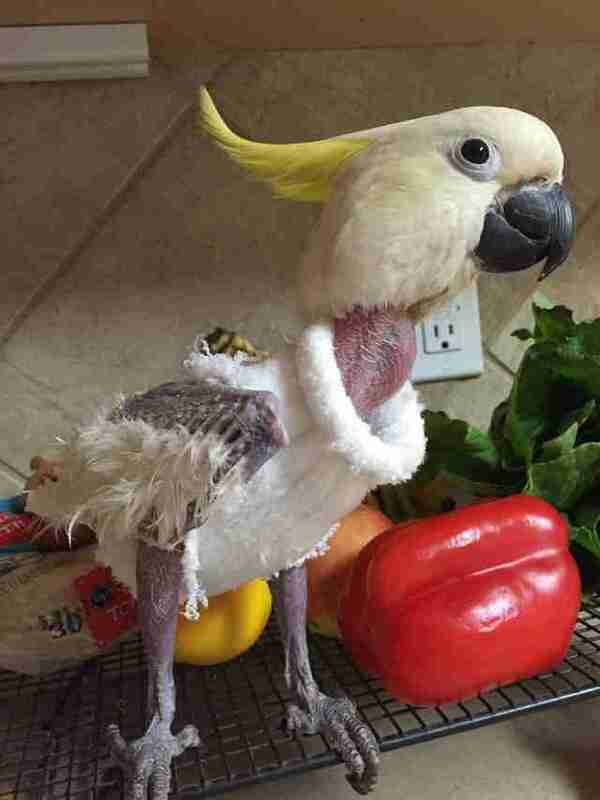 Now, with her brand-new sweater - courtesy of The Sock Buddy, a garment made for feather-plucking parrots just like her - Javi too is truly feeling the warmth. 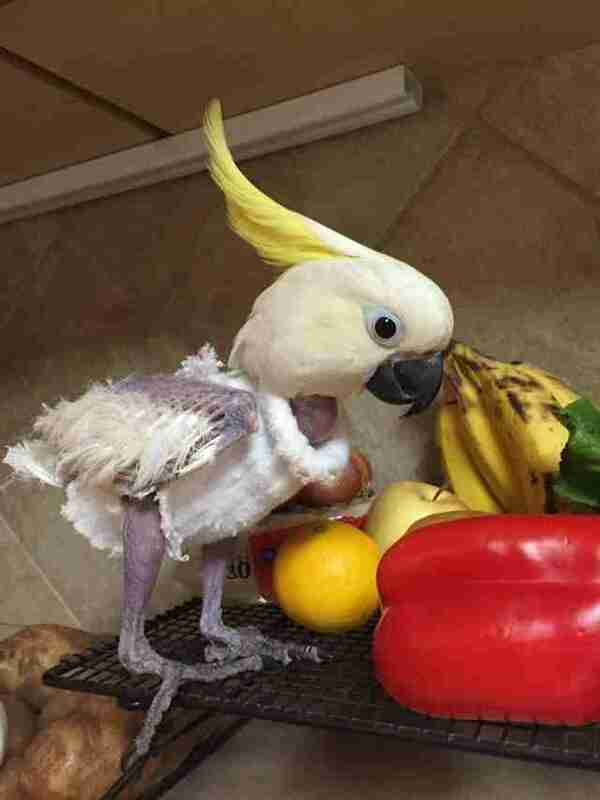 "She is such a little model," Kail Marie, director and co-founder of Tallgrass Parrot Sanctuary, told The Dodo. "Something about her however has really touched people. People just love her."